Climate model faces considerable difficulties in simulating the rainfall characteristics of southwest summer monsoon. 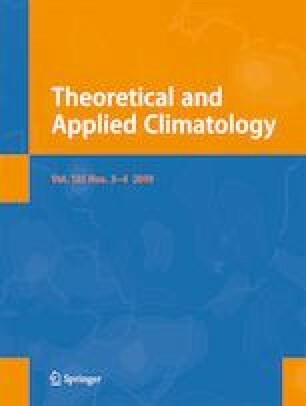 In this study, the dynamical downscaling of European Centre for Medium-Range Weather Forecast’s (ECMWF’s) ERA-Interim (EIN15) has been utilized for the simulation of Indian summer monsoon (ISM) through the Regional Climate Model version 4.3 (RegCM-4.3) over the South Asia Co-Ordinated Regional Climate Downscaling EXperiment (CORDEX) domain. The complexities of model simulation over a particular terrain are generally influenced by factors such as complex topography, coastal boundary, and lack of unbiased initial and lateral boundary conditions. In order to overcome some of these limitations, the RegCM-4.3 is employed for simulating the rainfall characteristics over the complex topographical conditions. For reliable rainfall simulation, implementations of numerous lower boundary conditions are forced in the RegCM-4.3 with specific horizontal grid resolution of 50 km over South Asia CORDEX domain. The analysis is considered for 30 years of climatological simulation of rainfall, outgoing longwave radiation (OLR), mean sea level pressure (MSLP), and wind with different vertical levels over the specified region. The dependency of model simulation with the forcing of EIN15 initial and lateral boundary conditions is used to understand the impact of simulated rainfall characteristics during different phases of summer monsoon. The results obtained from this study are used to evaluate the activity of initial conditions of zonal wind circulation speed, which causes an increase in the uncertainty of regional model output over the region under investigation. Further, the results showed that the EIN15 zonal wind circulation lacks sufficient speed over the specified region in a particular time, which was carried forward by the RegCM output and leads to a disrupted regional simulation in the climate model. 1. Assessment of sensitivity of RegCM’s Mix99 (Grell -> Land & Emanuel -> Ocean) Convective Parameterization Scheme (CPS) in simulating Intraseasonal variability of Indian summer monsoon (ISM). 2. Evaluation of mixed CPS and its dependencies on boundary conditions. 3. Low efficiency of in situ lateral boundary conditions over the particular region causes a disturbed rainfall characteristic in RegCM simulation. 4. Low efficiency in EIN15 zonal wind circulation over Indian region during the phases of monsoon. This work is a part of a R&D project, funded by the Department of Science and Technology (DST), Ministry of Earth Science (MoES), Govt. of India. The authors wish to thank to The India Meteorology Department (IMD), NOAA/OAR/ESRL (Boulder, Colorado, USA; http://www.esrl.noaa.gov/psd/), and European Centre for Medium-Range Weather Forecasts (ECMWF) for providing gridded datasets. The authors seem their sincere gratitude to Prof. T.N. Krishnamurti, Florida State University, USA for his valuable comments on the manuscript to improve publication quality. Special thanks to the International Center for Theoretical Physics (ICTP), Italy, for providing the RegCM. The authors wish to extend their sincere gratitude to the Journal Editor and the Reviewers for their insightful comments on the paper.